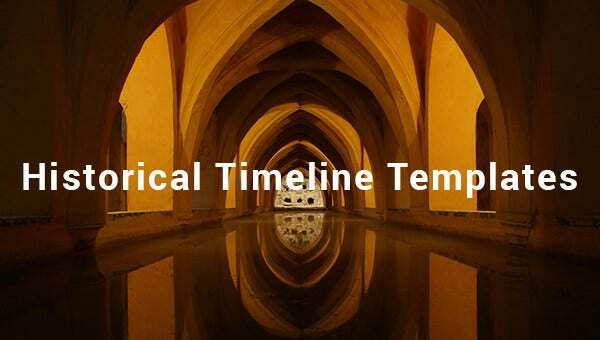 A historical timeline template is a single most important tool, which can help you make some good highlights on the turns of events that have taken place in your life. The one major benefit of every example template in this category is that you get them free without ever having to create one from scratch on your own. 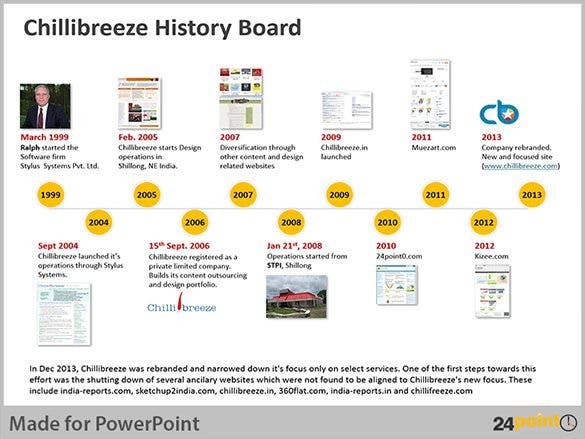 This interactive timeline here highlights on several events witnessed by the company since its inception till date as well as offers data regarding the various milestones achieved by the company. 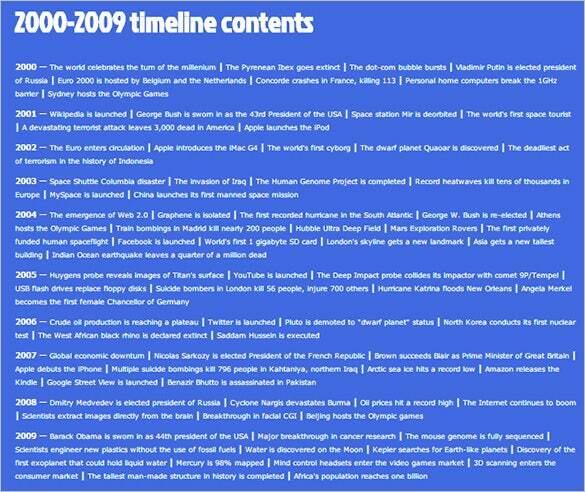 You are getting a wide range of timelines here to choose from. 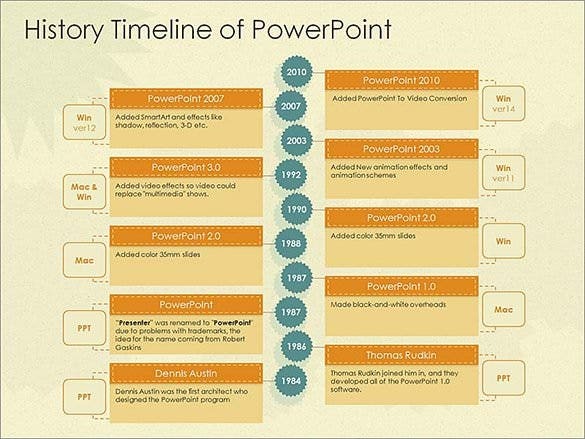 All the timelines here come up with excellent graphic designing to render a glam quotient to an otherwise plain timeline. 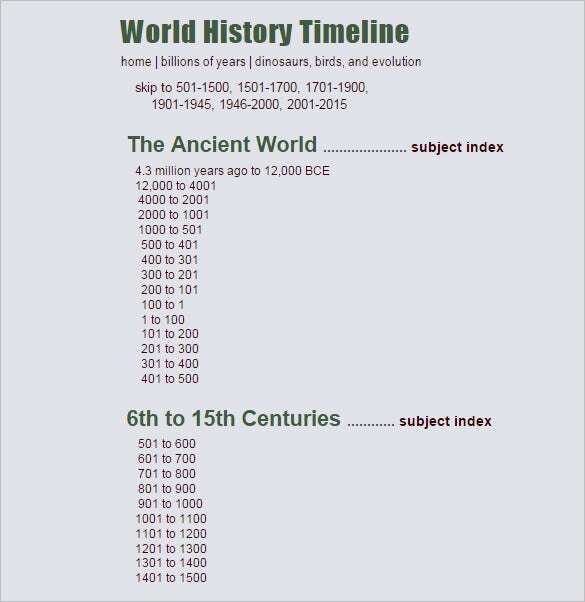 You are getting a World history timeline that has charted the evolution of the world. It is primarily divided into 2 categories- the ancient world starting from 4.3 million years ago and the world from 6th to 15th centuries. 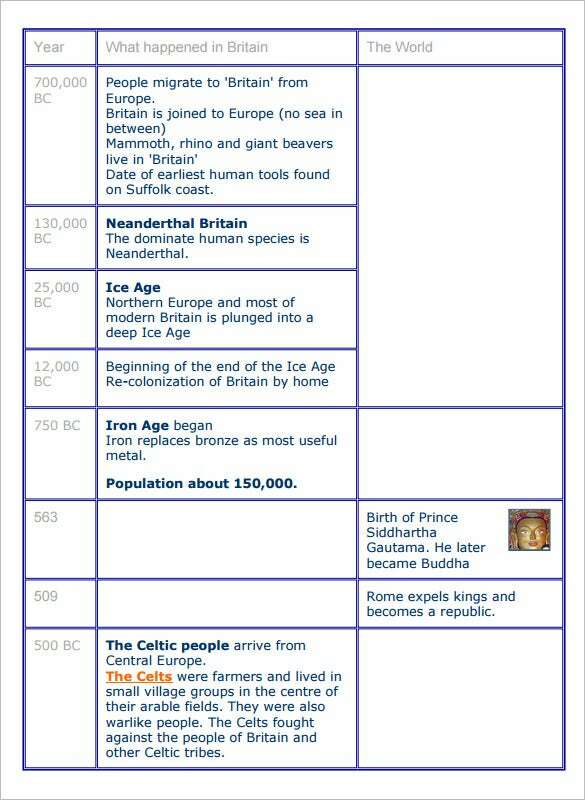 This timeline here offers a detailed data on British history which starts right from 7,00,000 B.C. and is followed by Neanderthal Britain, Ice Age, Iron Age and finally the arrival of Celtic people. 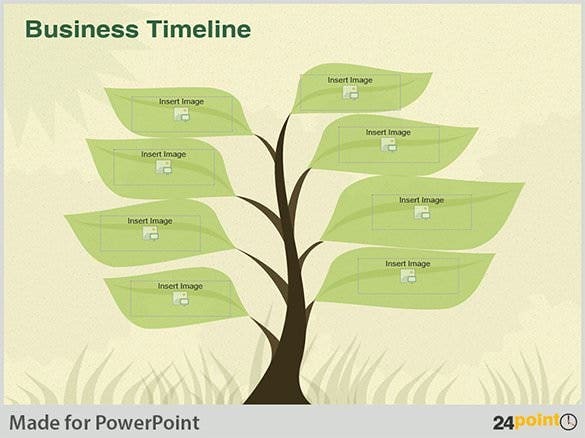 This business history timeline template comes in a cute tree format. Each of the broad leaves of the tree could be used to note the different landmark events in the history of the company. The free samples are free indeed. 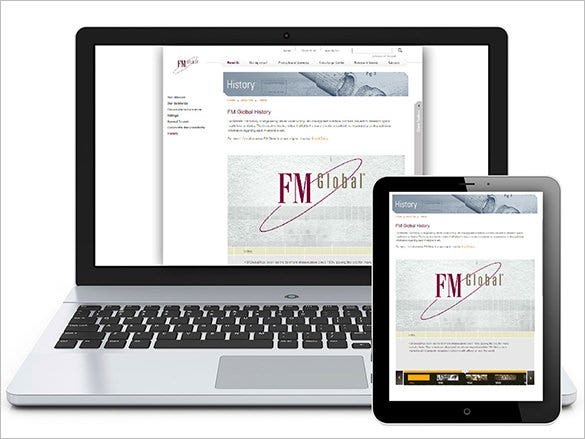 You can try different format download and see which works best for you. 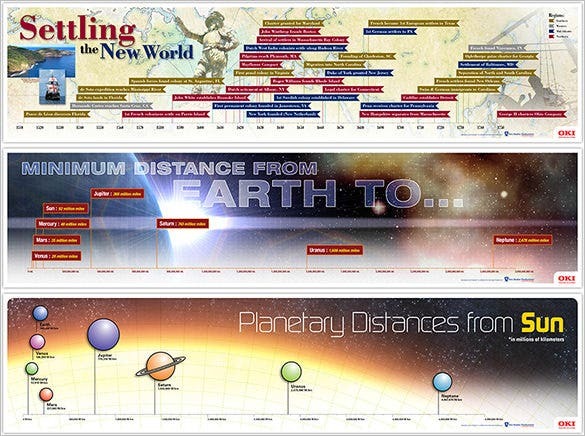 Blank and printable timeline templates are common, and are good for students doing Social Studies History Course Assignments. They are best for taking summary on historical events. 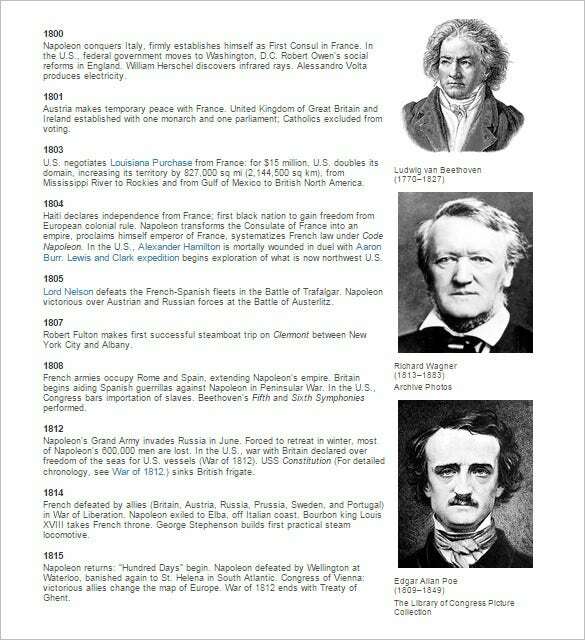 They are god tools to help students learn World History like American and European history.